Follow Moss to get news updates on your homepage. Moss is being followed by 0 people. UK Delivery Details: Each order - however many items it contains - carries a P&P charge of £4.95. Items are usually delivered within 3 working days. If your order comes to £75 or more, though, delivery is absolutely free. Moss has 82 stores in the UK in our database. Moss is currently ranked 49 in the directory. Last month its rank was 48. A Special Offer was added for Moss: Third Shirt Free 18 days ago. A Special Offer was added for Moss: Sale Suits ... 23 days ago. A Special Offer was added for Moss: Sale Shirts ... 23 days ago. A Special Offer was added for Moss: Sale Coats ... 23 days ago. A Special Offer was added for Moss: Sale Trousers ... 23 days ago. A Special Offer was added for Moss: Sale Accessories ... 23 days ago. A Special Offer was added for Moss: Sale Jackets ... 23 days ago. A Special Offer was added for Moss: Sale 23 days ago. 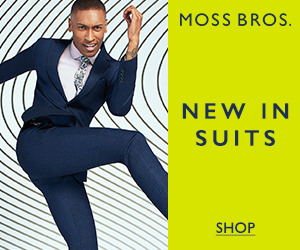 A Special Offer was added for Moss: £99.95 Stretch Suits 25 days ago. A Special Offer was added for Moss: Up to 50% Off in The Sale 25 days ago.